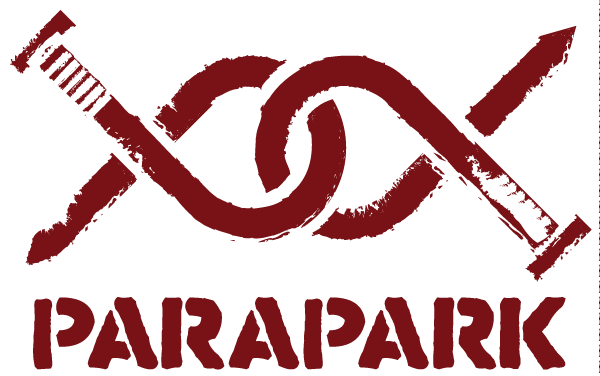 ParaPark, the oldest escape company in Europe. It seemed almost wrong that I didn’t play their games on our first visit, but we put that right the second time round. The games are located in part of a proper ruin bar, with each escape room feeling more like it has been slotted into an available space than like part of a single escape venue. We were fortunate enough to be looked after by Attila Gyurkovics, the founder of the company and espouser of “flow” in escape rooms. To be honest, other than paying homage to the original escape venue in Europe, I can’t recommend playing these games. They’re by no means terrible – it’s just that there are plenty of other better ones to experience instead. Generally, it felt like ParaPark had come up with some cool ideas for the heart of their games, which flowed reasonably well, but the unexciting puzzles and disappointing décor left me underwhelmed. Meeting Attila was probably the highlight of our visit – he was genuinely friendly and, in spite of what I expected, he didn’t seem to be resting on the laurels of having started the European escape room trend. My first impression of the Cube Factory – and by extension ParaPark’s games – was of a grubby place to be. I guess being located inside a ruin bar sets the tone for the venue and, with them being the first to open, they probably just went for a similar standard of decoration to the surrounding bar. The problem is that this is a game where you’ll be searching the space, and I really wasn’t sure that I wanted to. There wasn’t even the usual excuse of saying that it was to aid immersion – this game had no real theme or story, so they could have made the place clinically clean had they so desired. There were two main puzzles that tied the game together and gave some measure of progress, one of which impressed me in how it unfolded in unexpected and interesting ways. It was a simple concept, but it worked really well, starting us off totally bemused and then slowly giving us the realisation of what was happening before teasing us right to the end. As an extra benefit, it was next to impossible to brute-force the answer, which was a nice touch. That puzzle effectively provided the finale for the game, which was a shame because it lacked the excitement I’d like to see for a finish. What the room did have was flow – a relentless push onwards that made the game enjoyable – but few of the puzzles were really exciting, and that final one left enough ambiguity in its solution that we didn’t have that highlight to make the game particularly noteworthy. The premise behind this game was quite different from your average escape room, as we needed to work through a series of crime scenes to identify the killer. Having played a fair number of crime scene games, it was refreshing to feel like we really were investigating a serial killer across several different locations. That said, like all ParaPark games, it wasn’t a particularly nice environment and, while they’d put in a bit of work to set the scene, they couldn’t hide away from the fact that the room was located in a crumbling building. The puzzles didn’t flow quite as well as in the first game, and we frequently found ourselves a bit blocked and not really sure how we should continue. Even when we worked out the answers, it didn’t always feel like they were a natural continuation of the game at that point. That might have been OK in other locations but, with ParaPark’s focus on flow as their special ingredient, it was unfortunate. Although there wasn’t a huge amount to get done in this room, we just kept finding more and more things, and it wasn’t always obvious what was or wasn’t a puzzle or how we should use it. One in particular felt like a bit of a logic leap, where we were pulling information together somewhat arbitrarily, entering codes more in hope than in confidence. The finale was undoubtedly the strong point of this game, coming totally out of left field with a very surprising finish. I was lulled into a false sense of confidence just before we reached the end of what I assumed was the finale, so that one extra step at the end of the game was all the more impressive and led to a memorable final action in the room. The third of our ParaPark rooms was a parking garage-themed game. I was genuinely intrigued because the theme seemed bizarre – you’re trapped in a parking garage and, before you escape, you have to visit all the levels to work out who committed a crime. Why a parking garage? Well, that will become obvious when you play the game. It’s a fairly industrial-looking space, although a bit better maintained than the other games on the premises. There’s nothing I’d describe as superb decoration, but it does the job, and there are some impressive props on display. Searching through those props was pretty involved, although a little more pleasant than in the other two games. For my taste, though, this went beyond theme-setting and well into red herring category. Once you’ve started, that strange story starts to make more sense. This is a game where someone thought of an idea and then created a story around it. The idea felt very much shoehorned into the experience, especially since we played a game more recently that was based on a very similar concept but achieved a much better flow. Aside from that idea, there was one other cool centrepiece in the room which I think will excite enthusiasts. They did a little with that interaction, but I think they could have integrated a whole lot more to really add to the experience. Apart from those two items, though, I found the puzzles a bit underwhelming. The finale puzzle, while pulling together the experience, felt relatively tedious and didn’t fill us with that rush of adrenaline that I look for when escaping a room.